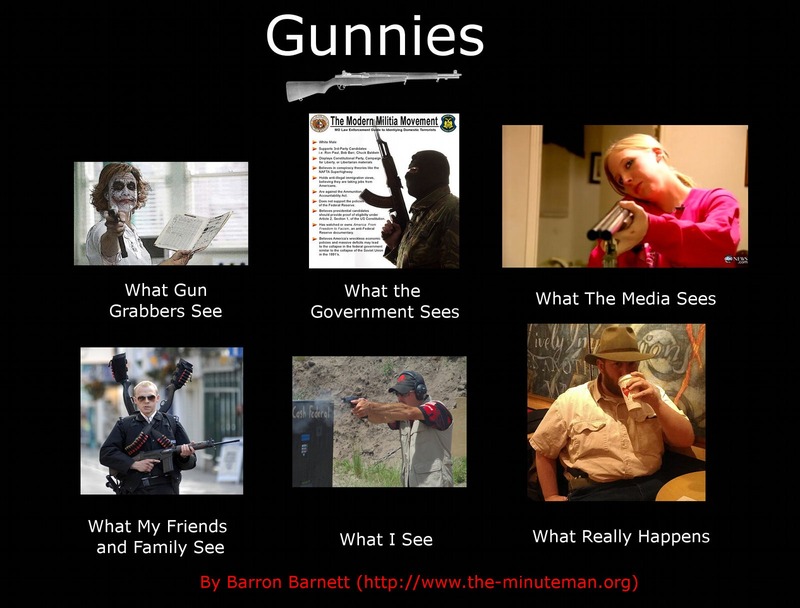 The Minuteman » Unfiled » It’s a Meme! So there have been a meme running around on how different subjects are viewed. 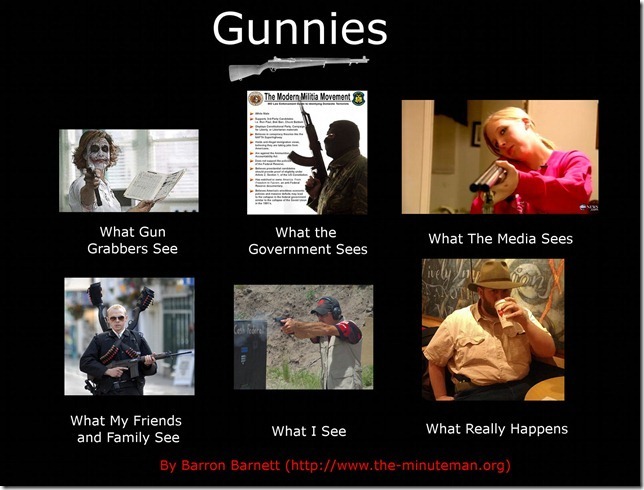 I saw one for women and firearms but I didn’t see one for gunnies in general. I decided to fix the deficiency. I thought about having a a frame from Tombstone in the “What the Media Sees” but that frame I think worked better. Spread it around! If you want to spread it on Facebook, here it is. *Yes that’s me in the bottom right, I felt that picture was quite fitting since as always, nothing happened! **Thanks to Caleb for the Picture of Bob Vogel at the 2011 IDPA World Championship.